Listed below are the investigations Paramendel has been on. If you would like to see the evidence, please click on the title of the investigation. 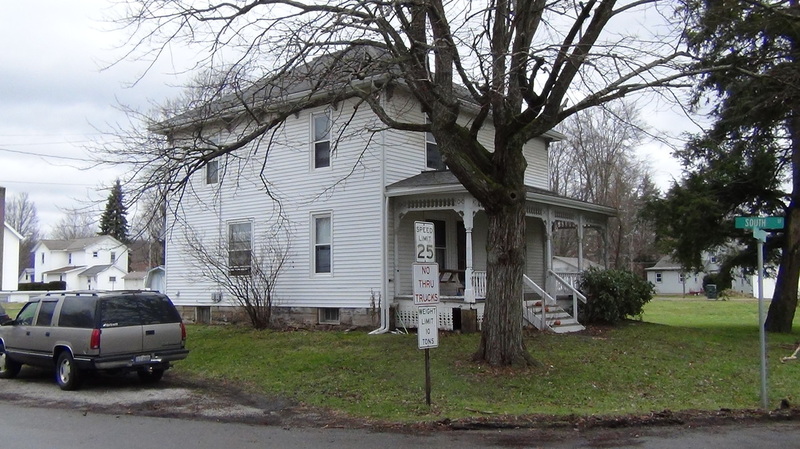 We have also been part of investigations at places such as Sedamsville Rectory in Sedamsville, Ohio, Mansfield Reformitory in Mansfield, Ohio, Shady Lane Manor (Old Delaware County Home now demolished), Fort Hayes in Columbus, Ohio, Shroer Mortuary and "Old Eagles" Mansfield, Ohio, as well as participated in the first Mansfield Paranormal Convention held in 2012, with our sister group Ohio Paranormal Detective Agency. Keep coming back to see new investigations we have scheduled. We have several more investigations scheduled in the upcoming months. All evidence posted here is considered to be the property of Paramendel and as such is subjected to copyright infringement. For use of any evidence posted here please contact the webmaster. It may not to be re-posted or used in any form without written permission of Paramendel-webmaster. Click on the button to the left for more information on how we prepare for and conduct investigations. I can/could literally see this building from my house. It has had a long history dating back to the Civil War. As a retired deputy I remember training in the building "back in the day". When I first moved to Delaware County the home was still in operation housing the elderly and indigent. Its only been vacant since the late '80's, if I remember right. There is a cemetery out back covered in weeds and there was once a place to house the mentally ill as well. In its hay day the property was 113 acre farm. I knew an older resident that resided there just prior to its closing and visited him once. It was a sad and depressing place. There is no doubt in my mind that spirits would linger there because of all those that have passed while the building was in operation. Many of those that lived there were suffering from dimensia and I'm convinced that they would have stayed with no where else to go. Having been inside both on and off duty, a lot of things happened in there to me and other deputies that we would be hard pressed to explain. Unfortunately during our last investigation there we were hindered by both weather and unexpected group of local students looking for a thrill. The ambient noise from the rain and constant footsteps from others completely ruined any possible EVP's. Since then, (late fall of 2012) the building was torn down before we could conduct another interior investigation. I do plan to go back at some point now that the building is removed and see what the land holds. The Ohio Paranormal Detective Agency and members of our group were asked to participate in the first Mansfield Paranormal convention. 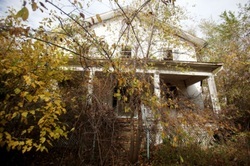 The paranormal teams were each assigned two locations to investigate for roughly two hours each. Attendees of the convention were assigned to the paranormal teams and would accompany them on the investigations. (that's where we met our newest member Stephanie Pelech) During our investigations we experienced numerous phenomenon. The gambit ran from shadow people, EVP's and cold spots. We seem to have the best results at the Old Eagles, although we did seem to make contact with the youngest Shroer at the mortuary. Yes its the haunted rectory seen on all the major ghost hunting shows from "Ghost Adventures" to "The Haunted Collector". I have to admit I was really looking forward to this one as our visit was less than a month after the Ghost Adventures episode aired. We weren't disappointed. 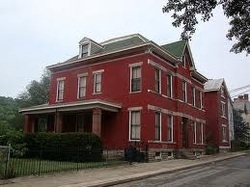 Again we investigated with our sister group Ohio Paranormal Detective Agency. When the Ghost Adventures show aired, they spent a lot of time using a priest to help in their investigations. Tim (owner) said that he and his wife were experiencing an evil entity in the building. During our investigation we didn't experience any such entity, but there was no shortage of phenomenon. We caught numerous EVP's and had several personal experiences. Some of the noises heard came from a team of ninja raccoons raiding the trash on the rear porch area. 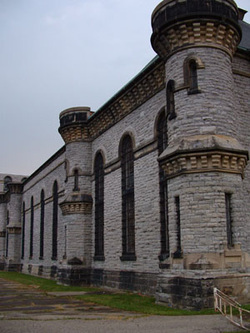 We investigated the reformatory with members of our sister group Ohio Paranormal Detective Agency. The structure is huge. A lot of prisoners have passed through the building and some seem to have chosen to stay. All of the investigators experienced some sort of paranormal activity. Hot spots were literally everywhere, from the cell block, to the Warden's Office, down in the "Hot Box", to the chapel. The team members had "shadow people" follow them, heard disembodied voices, (both residual and intelligent) members were touched and experienced other anomalies. Numerous EVP's were caught and some of them are posted here. We were asked to investigate the studio along with members of our sister group the Ohio Paranormal Detective Agency due to some unexplained phenomenon experienced by members of the WCBE staff. The building is newer, but the land it sits on has a long history in Columbus and has been active as Fort Hayes since Civil War times. There have been some deaths there, one of which being a soldier that was killed while firing a cannon to salute Lincoln's inauguration. There is still some speculation as to whether the cannon was known to be faulty. The fort's commanding officer may have purposely assigned that soldier to the cannon because he had eyes for his daughter and the commander didn't approve. 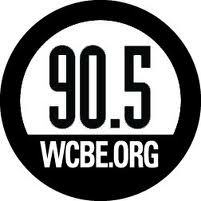 That story along with many others fueled our investigation as we searched for answers for the WCBE crew. OWU has some beautiful architecture. A lot of history has taken place in and around the area the campus now occupies. The site was once occupied by Indians, prior to Delaware being settled in the early 1800's. A tannery once existed along the Delaware Run (creek that runs through the campus). Then the Mansion House Hotel was built on the site around a sulfurous spring, (believed to have healing attributes) before being moved in the late 1800's to its present location and renamed Elliot Hall to make room for Gray Chapel/ Adm Bldg, (pictured on the left). OWU has had its share of death in and around the campus during its over 170 year history. The spirits range from students, faculty, workers, to people attending events on campus. In the Adm Bldg/ Gray Chapel there are reports of a small boy that fell from the balcony in Gray Chapel while attending a performance there. An unknown girl wanders the halls of the lower levels. A "mean spirit" is said to push/ touch people in the stairwells of the building. In the early 1900's two boys misbehaving during a performance were scolded by an unknown elderly woman apparition. A prominent local politician named Frank Willis died of a heart attack back stage in Gray Chapel while preparing his speech to announce his candidacy for president of the United States. There was also a soldier from the war of 1812 that was involved in a scuffle outside the old tannery and killed by his aggressor. He is said to be buried near the old tannery location which is now occupied by the Gray Chapel-Adm Bldg. All that is just in this building. The other buildings have their own history. In order to protect the clients privacy the exact location will not be listed. The home is situated less than 200 yards from three churches and a nearby cemetery. The client is currently renting the home and she along with her five children have been experiencing a lot of paranormal activity. She told us that her kids as well as other extended family members have exhibited psychic traits and sensitivity to paranormal phenomenon. At this location she and her family are experiencing poltergeist activity, along with seeing full body apparitions, shadow people and hearing numerous unexplained noises. Our team responded to see if we could answer "who" or "what" was causing the phenomenon. Due to the surroundings our team members were quite surprised at who eventually came through and we were able to provide calming answers to the client's questions. This investigation was done at the request of "John" a personal friend of Paramendel. He has had paranormal activity at his home in the form of apparitions and voices. He wanted to see if we could provide him answers as to "what" or "whom" might be the source. This investigation came to us via referral. 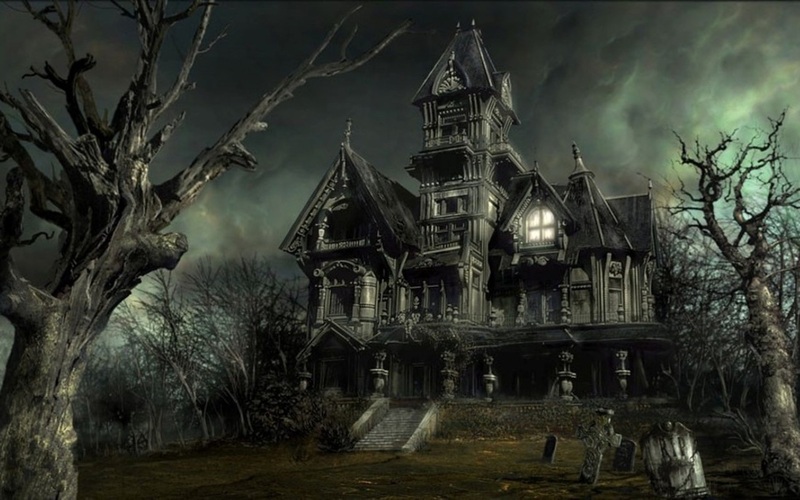 Over the last year or so our client has seen apparitions in her home, along with a general feeling of uneasiness. We don't believe anyone should feel uneasy in their own home, so we decided to try and help her. One of the apparitions was that of a younger man with blonde hair that appeared in her foyer. She stated that she made eye contact with the man, he smiled, then walked downstairs toward her basement. When she checked the area, nothing was found. The other apparition was that of a woman and a little girl sitting at her dining room table. The client told us that she watched the woman and girl for what seemed like a few minutes before asking what they were doing there. When she did they vanished. Our client didn't recognize any of the spirit apparitions. What can be said about the Strand Theater that hasn't already been said during it's 97 year history? It is an icon in Delaware Oh and has offered up entertainment to local residents from vaudeville to modern movies. During the course of the theater's history it has acquired the reputation of being haunted. Dark figures have been reported throughout the theater, the aroma of a woman's perfume has been smelled and a former employee known as "Rodney" is said to effect equipment. With the recent remodel the theater has gone through, we assumed that the atmosphere would be ripe for a (Paramendel) paranormal investigation. While none of us ran up and down the aisles scared by what we saw, we did manage to catch some audio and video evidence as well as some team members having personal experiences. Light anomalies were seen throughout the theater(s) and lobby area. In the old bowling alley "Mike" told our team that had three strikes and three spares. In the upper theater a black mist was caught hovering outside the projection booth. Light anomalies/orbs darted around our closed circuit TV screen at astonishing speed. A closer review of all our evidence should reveal even more. We were approached by one of our team members to investigate a barn on their property. 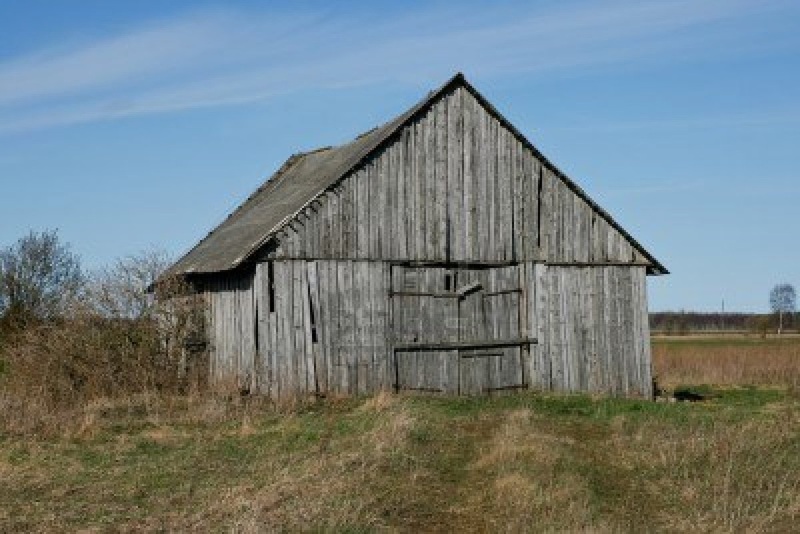 The member reported a "creepy" feeling whenever they were near the barn. It was stated that it felt like you were being watched. The barn itself pre-dates the age of the home. The property used to be part of a large farm in the 1800's. It is also important to note that Native American artifacts have been found in the area. However at this time, we are unaware of an tragedy or extraordinary events that have occurred on the property. The land itself has a baseline reading of 0.6-0.7 which is unusually high for an outdoor area. The local area is known to be rich in limestone which is believed in hold memories and increase paranormal activity. This may explain the unusual EMF readings. In 1810 he sold the land to a Dr Oliver Bigelow who was also a Revolutionary War Vet. during the year of 1813 he laid out the town, but by 1817 he had died. When the Monroe Township Building was dedicated to the city in 1885 it was used for everything from lectures, plays, musicals, revivals, to political rallies. 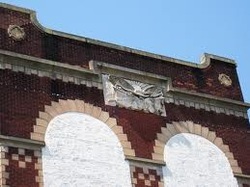 Old backdrops still in the building were made by Armbrusters and Sons Co. Reports from the people frequenting the building include voices, strange noises and visual anomalies. The old Jail may be a small building, but it seems to hold a lot of history and its share of phenomenon. The cells may look empty, but they weren't. Built in 1888 and dedicated in 1889 it has been moved to S Pratt St from its original location. Out of respect for our clients privacy we won't post any pictures or the address. This particular Victorian home was built around 1910 and once owned by a prominent family in the area. According to our client it has had a rich history. He requested that we conduct an investigation in the home after feeling like he was often followed while living there. The size of the home dictated that we investigate with a smaller than usual crew. That being said, we decided to go "old school" for this investigation. What that means to us is to minimize the amount of equipment so that we could maximize our time. Out of respect for our clients privacy we won't post any outdoor pictures, the address or the clients name. This particular residence is one of the oldest in the area and was built in the 1850's. Out of respect for the client's privacy no outdoor pic of the residence will be posted. The home is in a relatively new subdivision on the west side of town.